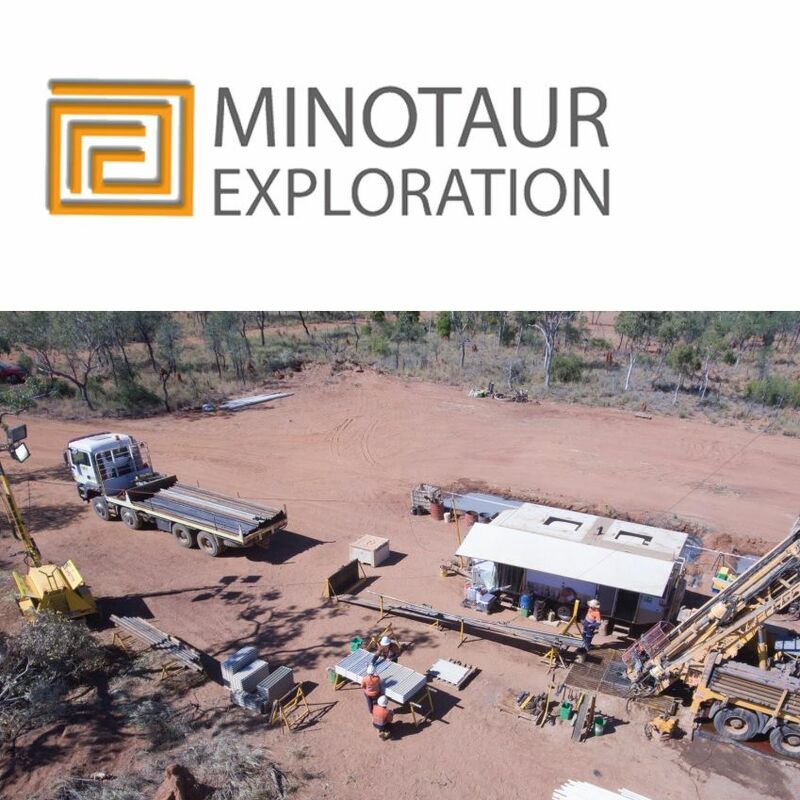 Adelaide, Oct 25, 2018 AEST (ABN Newswire) - Minotaur Exploration Ltd ( ASX:MEP) ('Minotaur') reports significant copper-gold intersections for the Eloise JV at 'Jericho', located 60km southeast of Cloncurry, NW Queensland. Latest assays from drilling into the J1 structure delineate high grade copper at shallow depths, demonstrating the persistent nature of mineralisation at Jericho. Since discovery of copper-gold mineralisation at Jericho in October 2017 the Eloise joint venture has completed 28 holes for 12,840m. 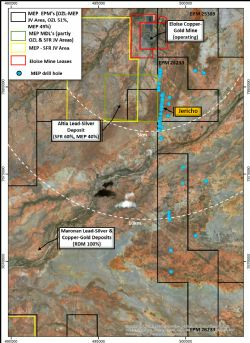 This largely broad spaced scout drilling has encountered copper-gold mineralisation in every drillhole along two modelled conductors that extend for 3.3km (J1) and for 1.2km (J2) respectively, the centroids of which are sited 3km from the Eloise copper-gold mine (see Figures 1 and 2 in link below). Five holes, EL18D26-EL18D30, are reported here - each returning significant copper-gold values (see Figure 3 and Tables 1-3 in link below). 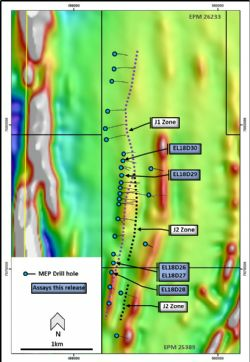 Drill holes EL18D26-EL18D28 lie along strike and/or below holes EL18D05 and EL18D18 in the southern part of J1 (see Figure 3 in link below) where shallow, strong copper-gold mineralisation was intersected previously (hole EL18D18 returned 17m @ 2.39% Cu and 0.58g/t Au from only 97m)(see Note 1 below). 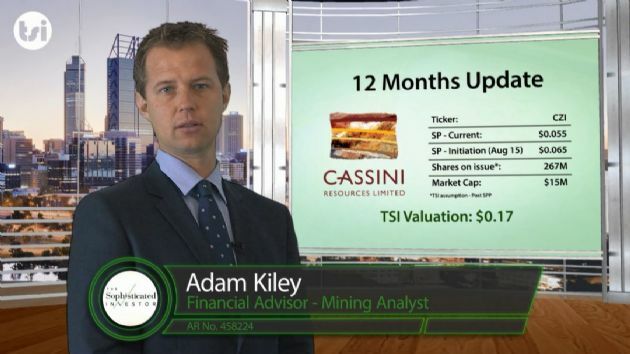 The latest assays include EL18D26 with 12m @ 1.23% Cu and 0.36g/t Au from 91m; EL18D27 with 28m @ 0.37% Cu and 0.06g/t Au from 185m; and EL18D28 with 28.4m @ 0.72% Cu and 0.05g/t Au from 229.8m. These holes confirm shallow mineralisation along approximately 500m of strike of the southern part of J1 (see Figure 3 in link below). Drill holes EL18D29 and EL18D30 were drilled 100m either side of early drill hole EL18D02 (which reported 44m @ 1.1% Cu and 0.22g/t Au from 159m, including 17m @ 2.3% Cu and 0.5g/t Au in J1) (see Note 2 below). Hole EL18D29 returned 32m @ 1.06% Cu and 0.18g/t Au from 143m, including 12m @ 2.39% Cu and 0.42g/t Au. Hole EL18D30 returned 30m @ 1.47% Cu and 0.21g/t Au from 130m, including 11.3m @ 3.43% Cu and 0.44g/t Au. These holes collectively define persistent, shallow high-grade copper-gold mineralisation over approximately 500m of strike in the central part of J1 (see Figure 3 in link below). Drilling below these shallow intersections has not yet been attempted. Broad scale drilling at Jericho has encountered copper-gold mineralisation in every drillhole along each of the J1and J2 zones. 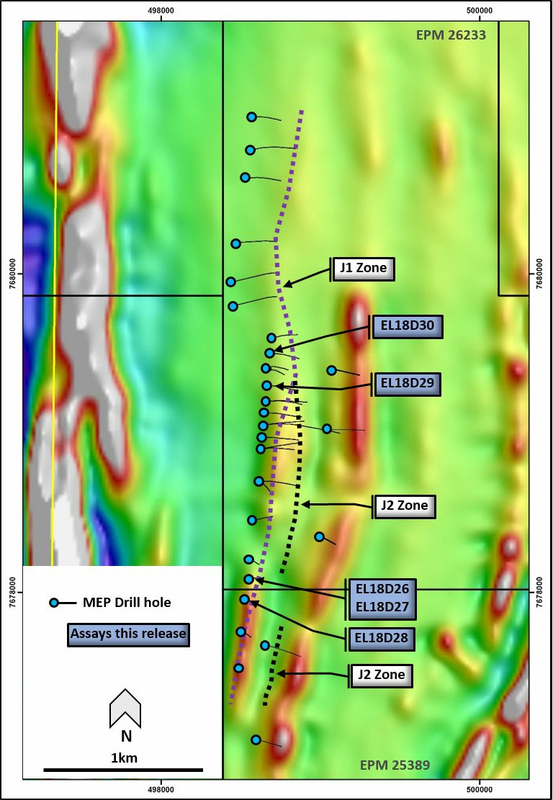 Drill hole EL18D30 assays are pending for samples from within the central J2 section. Together, 3.3 km of copper-gold mineralisation along the J1 zone and 1.2km for the J2 zone clearly demonstrate Jericho is a very large Cu-Au mineral system in bedrock below approximately 30-75m of Mesozoic cover. 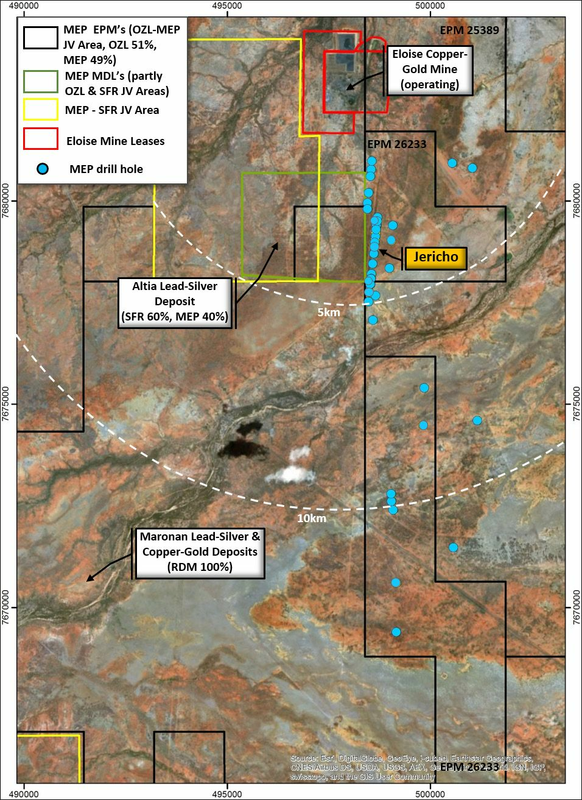 At J1, recent drilling shows strong copper grades at shallow depths along 1km of strike, collectively in 2 sections, which is highly encouraging given the absence of shallow drilling north of hole EL18D15 (see Figure 3 in link below). 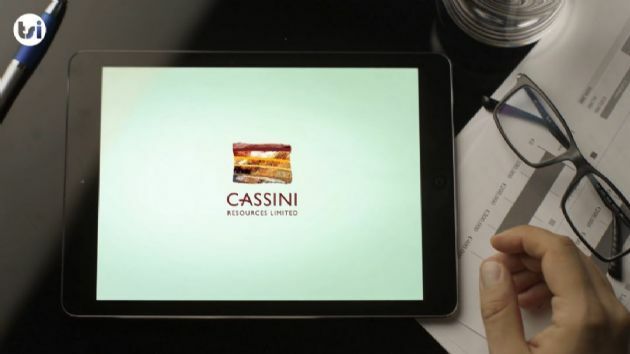 That northern portion, which is known to be mineralised, has not had any shallow drilling due to access issues; those are now resolved, paving the way for drill attention. Within J2, drilling has intersected the host structure at depth (the upper most hole was EL17D13 at 271m down-hole depth - see Figure 3 in link below); because holes were designed to test both J1 and J2 and, as a consequence, drill intersections in J2 were at depth. Every hole drilled into J2 is mineralised, suggesting shallow holes placed up-dip could also encounter copper mineralisation. Considering the broad spacing of holes within the northern extent of J1 the rig will shortly return to close in those gaps. The Eloise project, 55km south-east of Cloncurry, is a joint venture ('Eloise JV') between Minotaur and OZ Minerals Ltd ( ASX:OZL). 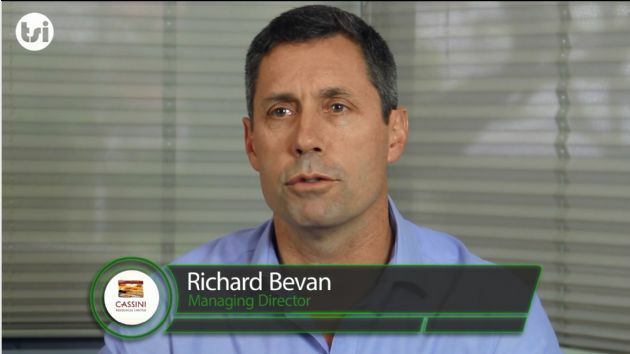 OZ Minerals may sole fund up to $10 million over six years for which it will earn 70% beneficial interest in Minotaur's 'Eloise' tenements, 60km south-east of Cloncurry, Queensland. OZ Minerals' 70% interest is forecast to be achieved by early 2019, 3 years earlier than originally contemplated. 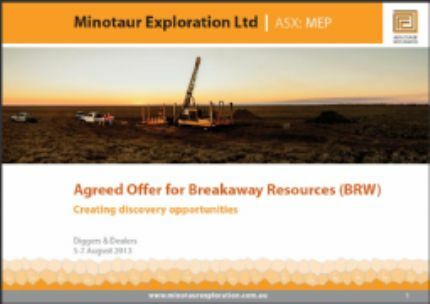 Minotaur is manager and operator of the joint venture. 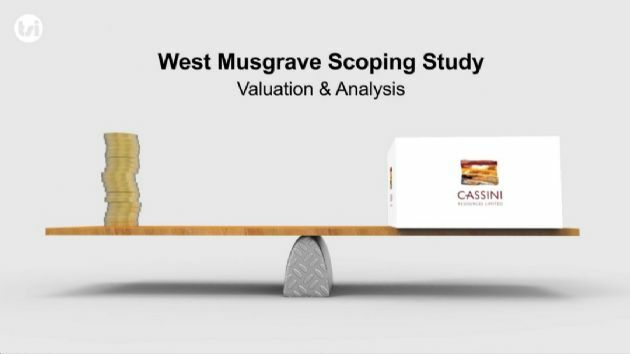 The Eloise JV is seeking Eloise-style copper-gold and Cannington-style silver-lead-zinc mineralisation, with both styles evident in the well-endowed mineral camp around the Eloise, Altia and Maronan deposits (refer to Figure 1 in link below).